Art galleries – traditionally large, spacious buildings housing priceless artwork from wall to wall. Well, that’s no longer the case. The art may remain the same, but decentralized art galleries are changing the way we own as well as experience the works inside (or online). These blockchain-based galleries make art more accessible to the average person and help novice artists more easily gain recognition in the space. Because combining the blockchain with art is still a relatively new idea, you may not have heard of any decentralized art galleries. Well, don’t worry. We’re here to provide you an insider’s guide to some of the best decentralized art galleries currently popping up around the world. Maecenas is a decentralized art gallery that “democratizes access to Fine Art.” Using the Maecenas platform, you can purchase fractions of artwork using ART tokens. Although the owners keep possession of the physical artwork, you benefit from any appreciation in value. 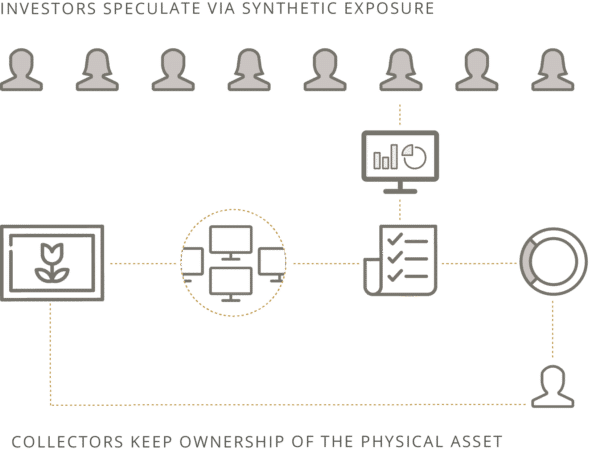 On the other side of the transaction, art galleries in the Maecenas ecosystem are able to sell portions of their artwork in order to finance new installations. Instead of having to take out a high-interest loan, gallery owners raise funds by selling, say 20%, of their most valuable work. Not only does Maecenas enable us average joes to own fine artwork, it creates a more efficient market that removes middleman costs. This, in turn, should lead to more available capital to fund new artists and their works. There are, and only ever will be, 100 million ART tokens. Specializing in Dada genre art, DADA.nyc is a decentralized art gallery on the Ethereum network. Each piece of art on the platform is a limited edition with proof of ownership tied directly to the blockchain. As an artist, you promote and sell your artwork directly on the DADA website. You receive 70% of every sale (DADA receives 30%) as well as 30% of all profits from the secondary market for your works. The gallery began in 2014 as a “visual conversation platform” for artists to speak to one another through their drawings. In March 2016, the gallery reached over 150 thousand registered users. And, in October 2017, the team finished development of the decentralized art gallery. Create a Curio Card wallet. This wallet is compatible with both the Trezor and Ledger Nano S.
Send the correct amount of Ethereum from your wallet to the appropriate vending machine wallet address. Then, you can view your cards in the gallery or directly from your Curio Card wallet. There’s a limited amount of each card, so they commonly sell out. Artists receive one hundred percent of the sales from the Curio Card vending machine. There’s no one in the middle to take a cut. The website currently features six artists across a wide variety of styles. A whole new breed of decentralized art has popped up directly on the blockchain, redefining what’s actually classified as a gallery. Collectibles, e.g. CryptoKitties, exist on the Ethereum network and can interact with one another. You can buy, sell, or even breed them with each other to produce an entirely new work of art (cat) – no gallery needed. 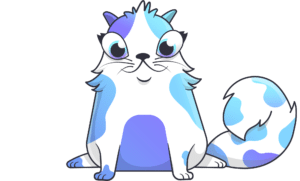 These digital cats were so popular at one point that they caused significant congestion on the Ethereum network, even leading to the delay of some initial coin offerings (ICOs). Another example, the Rare Pepe Directory is a simple website that hosts Rare Pepe trading cards. Artists create these cards using the Counterparty network. And, once again, you can transfer ownership directly on its blockchain. These cards have garnered a cult-like following producing specific communities, Rare Pepe critics, and even a pseudo-religion. The most expensive Rare Pepe card, Homer Pepe, recently sold for just under $40,000. Lastly, projects like Anime Coin further remove the need for a centralized art gallery. With Anime Coin, you upload your anime image to the network alongside the number of copies you want to distribute. With that, other users can purchase your artwork using the project’s ANIM decentralized exchange. It’s this exchange that effectively becomes a decentralized art gallery. Although decentralized art galleries are currently few and far between, there’s a clear trend showing their emerging popularity. They may never replace physical spaces; however, hybrid solutions merging the centralized with the decentralized aren’t out of the question. Combining blockchain technology with galleries improves art’s accessibility and greatly supports artists who may have been struggling to get by. With the value that decentralizing art brings, it’s no surprise that the industry is moving this direction. The post An Insider’s Guide to the Best Decentralized Art Galleries appeared first on CoinCentral.